Can you believe it is already the 30th anniversary of Disney’s The Little Mermaid? This movie no doubt started my love of Disney from a young age, and my daughter is a huge fan as well! 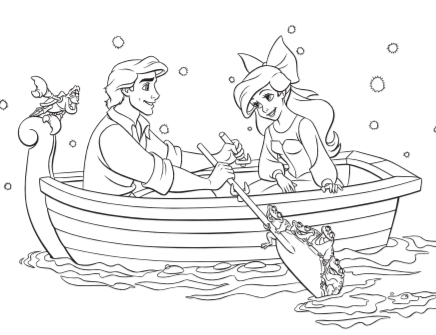 To celebrate the 30th anniversary re-release (digital February 12th, Blu-ray release on February 26, 2019), Disney created some amazing coloring pages and activity sheets. My daughter has been having so much fun using them! Click here to download the PDF with the complete set of coloring pages and activity sheets.